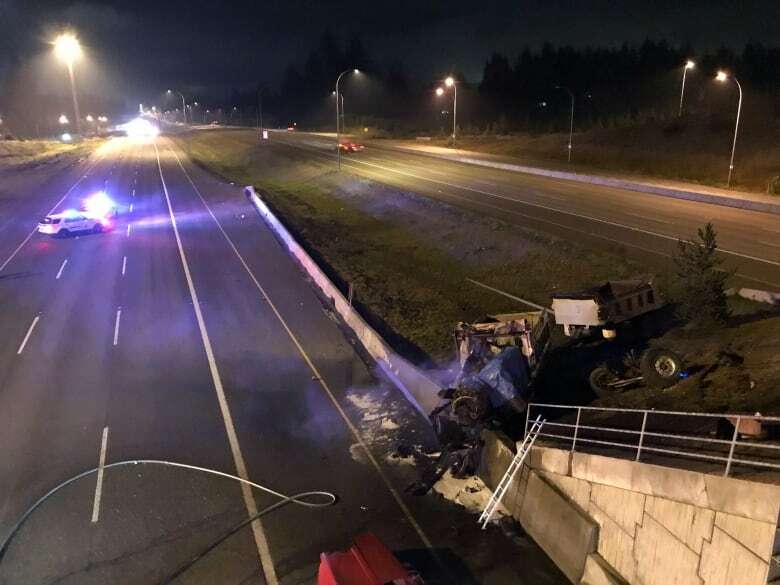 The driver of a large commercial truck lost control and crashed in the median near the 176 Street overpass just after 3 a.m. Tuesday, Surrey RCMP say. 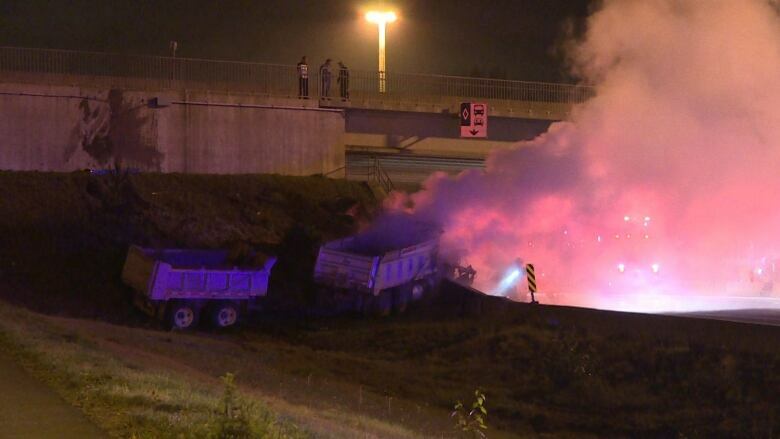 A driver is dead after a fiery truck crash on Highway 1 overnight in Surrey, B.C. 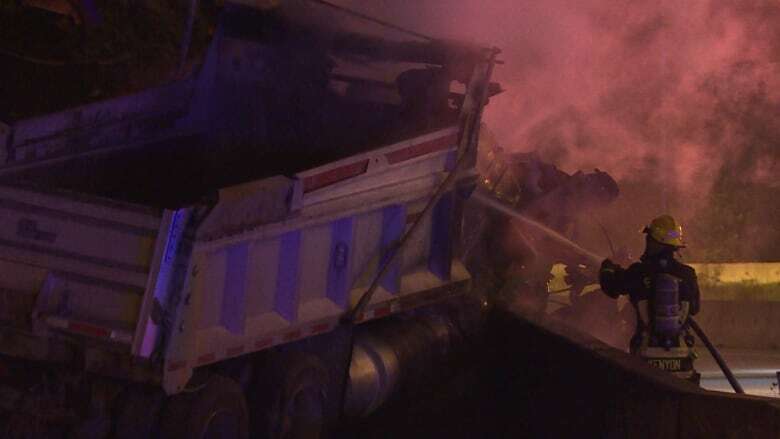 The driver lost control of a large commercial truck and crashed in the median near the 176 Street overpass just after 3 a.m. PT Tuesday, according to Surrey RCMP. The truck burst into flames, sending a thick cloud of smoke into the air. The cloud could be seen as far as the 200 Street exit into Langley. The highway was closed westbound at Exit 53 as RCMP investigated the crash, and drivers were asked to avoid the area as much as possible and exit Highway 1 at 200 Street. Two lanes were re-opened around 9 a.m., but the two left-hand lanes remain closed. An RCMP statement said traffic will be affected for an "undetermined" time.